TORONTO, June 26, 2018 /CNW/ - Nighthawk Gold Corp. ("Nighthawk" or the "Company") (TSX: NHK; OTCQX: MIMZF) announces that all resolutions proposed to shareholders at the annual and special; meeting of shareholders held on June 26, 2018, were duly passed. The auditors for the Company, MNP LLP were re-appointed for the ensuing year. In addition, the new incentive plans of the Company (the "New Incentive Plans") consisting of an incentive stock option plan and a share unit plan have been passed by a majority of shareholders. The maximum number of common shares available at all times for issuance pursuant to the New Incentive Plans or any other security-based compensation arrangement (pre-existing or otherwise) shall not exceed 10% of the issued and outstanding common shares. The New Incentive Plans provide a long-term and flexible compensation structure and bring the Company's incentive plans in line with the TSX policies and incentive plans of similar companies. For detailed voting results on each resolution, please refer to the Company's Report of Voting Results filed under the Company's profile on SEDAR at www.sedar.com. 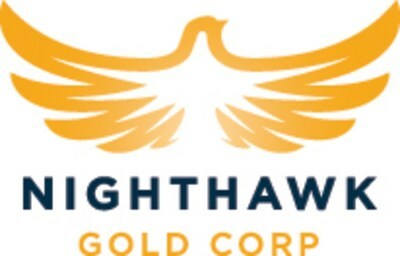 Nighthawk is a Canadian-based gold exploration company with 100% ownership of a district-scale land position within the Indin Lake Greenstone Belt, located approximately 200 km north of Yellowknife, Northwest Territories, Canada. Nighthawk is focused on advancing the Colomac Gold Project with a current inferred resource of 2.6 million ounces of gold (50.3 million tonnes at an average grade of 1.62 grams per tonne gold), as well as advancing its other regional gold deposits and showings within this largely underexplored Archean gold camp.